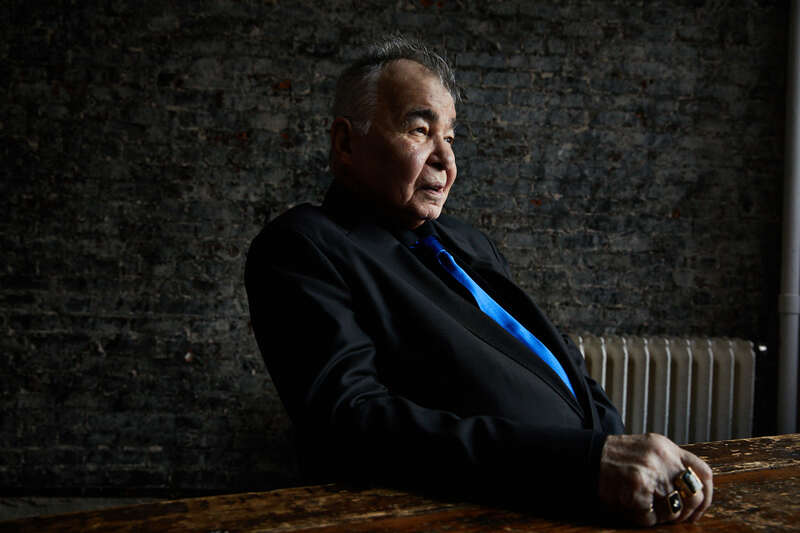 There’s something massively familiar about John Prine songs. Rather like putting on your oldest, softest pair of boots. His lighthearted songwriting conjures up images of Dylan, Cash and Kristofferson and its clear to hear their influence in every song on The Tree Of Forgiveness. What’s not so clear is whether they influenced Prine or he had a profound effect on them! Prine is 72, and has been making music since the early 70’s when Kris Kristofferson was credited with discovering him and allegedly said he “writes songs so fine we’ll have to break his thumbs” – although I’m sure there was bound to be a curse or two in there too. The album opens with Knockin’ On Your Screen Door, a writing collaboration with Pat McLaughlin who has worked on 5 tracks on this album and has been tight with Prine over the last 10 years, as they both ply their wares in Nashville. It’s the most Country track of 10 here, and is perfect for a bit of front porch sitting. Next up is the all too short (incomplete?) I Have Met My Love Today – a great duet with Brandi Carlile. This is co-written by British legend Roger Cook who is still the only British member of the Nashville Songwriters Hall Of Fame. It’s a romantic and lovely song that’s worthy of further work to find another two minutes to record – or just play it twice! The crazily titled Egg & Daughter Nite, Lincoln Nebraska, 1967 (Crazy Bone) carries that true humorous style of Prine’s that reminds me of the Kristofferson records my dad played endlessly when I was a kid. The same simplicity is evident in The Lonesome Friends of Science, that despite being the longest track on the album, is one you just don’t want to end. Great lyrics, proper bygone storytelling and hallmarks of John Prine’s style. If there is a stand-out track it’s marginally Summer’s End. It’s sure to be the most popular and probably typifies what this album is about. A great listen and remarkably Dylan-esque. However my personal favourite is Caravan Of Fools – there just aren’t enough songs with ‘caravan’ in the title! Closely followed by Boundless Love. It’s no coincidence that both are co-written with Dan Auerbach from The Black Keys. These are really poignant and likeable songs that no doubt draw on Prine’s brushes with health scares and have shaped the philosophy he adopts today. The song in which the album titles features is the final track – When I Get To Heaven. This great lighthearted ditty sounds a little like it’s Prine signing off on a superb career, but with three UK dates to play in August he isn’t finished just yet! 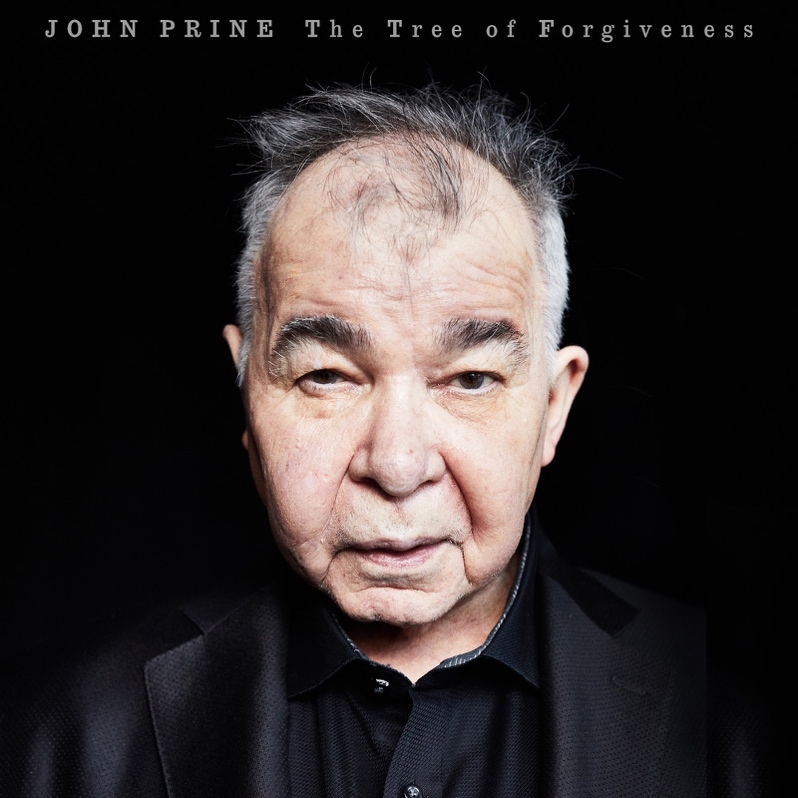 The Tree Of Forgiveness is threaded with the unmistakable observational songwriting that has made Prine so well respected throughout his career and is a worthy listen on a summer night with a bottle of Tennessee whisky close to hand. nice job. Excited to have John back in my life.